Author Bill Jamerson will share a multimedia presentation about the Civilian Conservation Corps at the Eagle Public Library on Tuesday, Sept. 13, at 2 p.m.
What: “CCC Boys of Colorado,” with author Bill Jamerson. When: 2 p.m. Tuesday, Sept. 13. Where: Eagle Public Library, 600 Broadway St., Eagle. More information: Visit www.evld.org, or call the library at 970-328-8800. 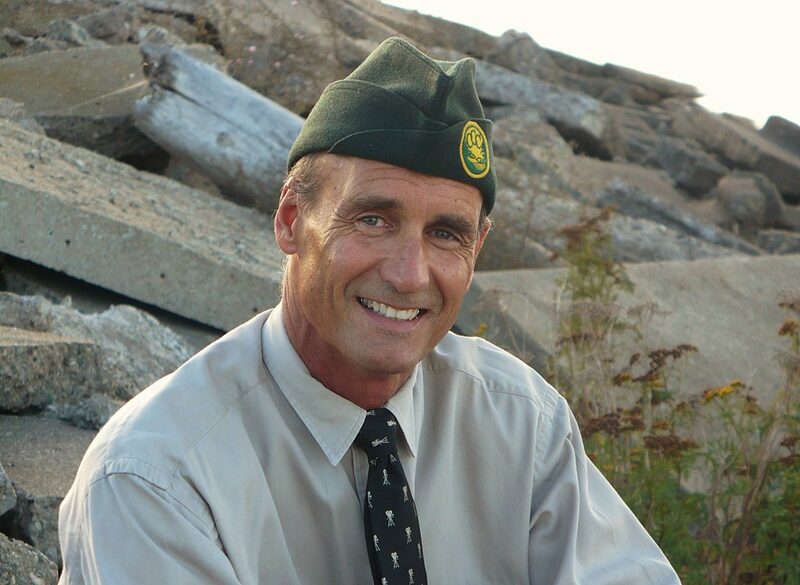 EAGLE — Author Bill Jamerson will share a multimedia presentation about the Civilian Conservation Corps at the Eagle Public Library today at 2 p.m., featuring video clips from his PBS movie “Dollar-A-Day Boys,” stories and excerpts from his book and original music. Learn about underdogs given a second chance and young men surviving the Great Depression. This program is free and open to the public. The Civilian Conservation Corps had a camp 17 miles south of Eagle, and a Civilian Conservation Corps crew built the shelter house at Camp Tigiwon, as well as the trail to Notch Mountain and the shelter house on Notch Mountain. The men came into town on weekends and patronized stores, movie theaters, billiard rooms, saloons, dance halls and churches. Many enrollees met their wives while in camp. The enrollees spent approximately $5,000 per month in nearby communities, helping the local economy during the depths of the Great Depression. The Civilian Conservation Corps was a federal works program created by President Franklin Roosevelt during the Great Depression. During its nine-year run beginning in 1933, more than 57,000 men ages 17 to 25 served in Colorado. The camps were run by the army, with an average of 34 camps in operation in Colorado each year. The Civilian Conservation Corps constructed hundreds of miles of roads, built bridges and worked on soil erosion control, reforestation and grazing control operations. They had many projects in Rocky Mountain National Park, the Colorado National Monument, Mesa Verde National Park and Red Rocks Park and Amphitheater. Jamerson will showcase his extensive research and passion for a truly American story. View more historical photographs of the “Dollar-A-Day Boys,” Camp Tigiwon and Holy Cross Pilgrimages at http://www.evld.org on the “Historical Photographs” page.